Paul Rice of the Rice & Rose Law Firm was recently notified by the Florida Bar that his Board Certification in Divorce and Family Law has been renewed for another five years. 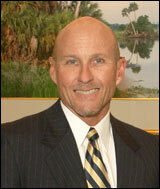 It is significant to note that less than 6% of all attorneys in Florida are board certified. Board certification requires significant trial experience as well as the passing of a full day examination, among other things. Mr. Rice has been practicing law for over 30 years in Volusia and Flagler Counties and is the former president of the Volusia County Bar Association. Mr. Rice's law firm is located at 222 Seabreeze Blvd. in Daytona Beach, Florida, and he can be reached at 386-257-1222 or paulrice@riceroselaw.com. Divorce After 50: An Epidemic?